Adequate affordable housing is the bedrock upon which to build healthy lives, strong and resilient cities, and thriving national economies. However, since the financial and economic crisis of 2008, countries across the UNECE region have been facing marked increases in the need for social housing and reduced availability of funds to meet these needs. Securing funding for the housing sector in general and especially for social housing is therefore one of the key challenges in the region. At least 100 million low- and middle-income people in the UNECE region are housing-cost overburdened; they spend more than 40% of their disposable income on accommodation. This leaves limited resources for other basic needs, such as food, health, clothing and transportation. Although available data are limited, it is estimated that 52.08 million people in the EU cannot keep their homes adequately warm and 41.74 million face arrears on their utility bills. The lack of access to adequate affordable accommodation damages neighbourhoods, the economy and the future. Sustainable development goals are also likely to be thwarted. The Study also recalls that the impact of poor housing conditions on health is largely underestimated despite recent studies from WHO which showed that the physical and mental health of residents is directly influenced by the quality of their home. Homeownership is the dominant tenure in the UNECE region. But the middle-income and in some cases middle-class households find it increasingly difficult to access and sustain decent housing due to the combination of three factors: a) housing price increases over the last decade, b) lack of accessibility to mortgage finance, c) lack of tenure alternatives. Affordability is particularly problematic in heated markets such as large metropolitan areas. There is also growing concern for the businesses operating in these areas because limited access to affordable housing limits labour mobility. The middle-income population in North America and Western Europe face an additional challenge: they usually earn too little to be able to afford a mortgage (especially because mortgage rules have been toughened in most countries since the crisis) but earn too much to be considered for social housing. In the Eastern part of the region, people who acquired homes during the privatization of public housing are often facing decreasing living conditions due to the lack of maintenance, energy inefficiency and health hazards. The combined costs of utility bills and high mortgage rates (from 7 per cent in Serbia to over 22 per cent in Belarus) raise serious questions about the way first-time buyers (after privatization is over) will access homes. The Study finds that in nearly all UNECE countries, there is some support for those who cannot afford market housing costs, through social housing. However, in addition to traditional vulnerable groups, such as the low- and no-income groups, refugees and homeless, new vulnerable populations are emerging, including the ageing and the young (first-time buyers). As a result, even in countries with a long tradition of social housing and sizable social housing funds, the demand for social housing is not met. Observed waiting lists for social housing are breaking historical records, reaching 1.8 million people in the United Kingdom, 1.7 million in France and 1.17 million in Ukraine. In the United States of America, there is a shortage of 5.3 social housing homes while the waiting period for this type of housing in the Russian Federation is estimated to be 20 years. The housing sector therefore needs to respond to these needs, adjust to the new dynamics of the housing markets and meet new aspirations, such as energy efficiency and customer adjusted design. The Study examines the current trends, challenges and social housing models in the region. It provides recommendations for possible future activities based on an extensive literature review of housing issues in over 50 countries and interviews with over 30 representatives of governments, private and non-governmental organizations. The study suggests ways to address the lack of affordable housing and fundamental housing market failures, including a reassessment of the links between the financial and housing markets. The study proposes an integrated approach to improving social housing supply and funding, energy efficiency and health, and increasing housing choice to meet demographic changes. 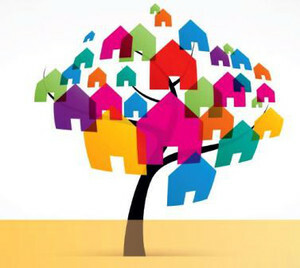 It also looks at: how to promote better social housing governance; developing public-private partnerships for cost efficiency; shifting from home-ownership-focused to tenure-neutral policies; and making available housing that is appropriate for the needs of different population groups, including an aging population and the young. At a time where the majority of UNECE member States are in the process of reassessing their housing policies, the Study illustrates that social housing can play a positive role in solving emerging housing needs. • Fair and transparent allocation systems of available social housing stock is in place.